Any health worker going to care for a man who has MERS in Munster, Indiana has to dress up in a gown, gloves, mask and goggles. He’s being kept in a “negative pressure” room that vents air to the outside through a filter. And everyone who’s been near him over the past two weeks is being tracked down and watched for signs of infection. These are all measures that stopped another alarming virus, SARS, or severe acute respiratory syndrome, from causing a global pandemic in 2003, and they’re working well for the community hospital, too. Health experts hope that MERS, like SARS, can be stopped without a vaccine or drugs, but with extreme hygiene. The patient, a healthcare worker in his 60s visiting family after a stint working at a Saudi hospital, is the first known case of MERS in the United States. Middle East Respiratory syndrome has only been around since 2012. It’s worrying because it’s very deadly, killing about a third of the more than 400 or so known or suspected victims. When he walked into the Munster Community Hospital's emergency department, standard procedures went into almost immediate effect, says Alan Kumar, chief medical information officer at the hospital. Many of these procedures began as hospitals braced for a feared pandemic of SARS, which broke out in 2003 and infected more than 8,000 people, killing about 10 percent of them, before it was stopped. Each special room has an anteroom, where anyone entering puts on clean gloves, goggles, foot protectors and a gown, and only then opens a closed door to the actual patient’s room. The procedure is done in reverse, every time without fail, upon leaving. Everything that touches the patient, from needles to food trays, is disposable after one use. And while MERS is not especially catching, at least not yet, everyone who was in close contact with the patient is being tracked down, from seatmates on the flights he took to fellow passengers on the bus from Chicago’s O’Hare Airport to Munster, a Chicago suburb. 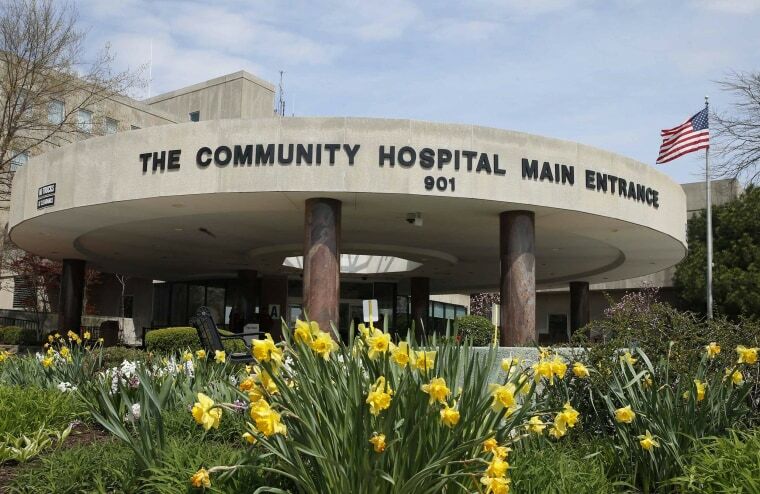 Family members and health care workers who were in direct contact with the patient have been tested for the virus — all have been negative so far. “This particular virus has not been very contagious." These precautions are useful against any of the many airborne diseases that people might walk in with, such as flu, tuberculosis and especially measles. They’d be useful if one of the mysterious bird flus that are in circulation, such as H7N9 or H5N1, infected a traveler. It’s still not clear if SARS was airborne or if MERS can be spread that way, but keeping the air from a patient separate is a common-sense measure. SARS was stopped with determination, hygiene and, McGeer says, a little luck. “The impressive thing about it was that it was stopped everywhere,” she said. It started in China, but spread to Hong Kong, Taiwan and Singapore as well as to Europe, the United States and Canada. It killed the Italian doctor who identified it, Dr. Carlo Urbani. SARS was easier to stop because it had a long incubation period — five days — and people couldn’t infect one another until they were already showing symptoms. Contrast this to flu, says McGeer, which you can spread to someone else before you even feel sick yourself. “There is no way to track and isolate contacts,” McGeer said. By the time you’re hit with fever and a cough, not only will you have infected someone else, but they will have in turn infected others. Like SARS, MERS is a coronavirus — a family of viruses that cause the common cold and that infect both animals and people. And for now, MERS is restricted to people who have been in Arabian peninsula countries or in close contact with MERS cases. MERS also seems to have an incubation period of five days, but it can be as long as 14 days. What is not yet clear is whether people transmit it before they have symptoms, which include fever, a runny nose and cough. If they do, it’ll be harder to control than SARS was. It’s also not clear whether MERS is passed on surfaces that people touch. “This particular virus has not been very contagious. That is one of the reasons this situation has turned out as well as it has,” Kumar said. What is obvious is that MERS spreads in hospitals. There have been several clusters of cases in Saudi hospitals and also at dialysis centers. The U.S. MERS patient worked at a hospital in Riyadh where there were MERS cases, although doctors say he doesn’t recall having treated or been in contact with any of them. That could mean that he was infected by touching a contaminated object or surface, or that he treated or contacted someone not showing symptoms yet. And something may have changed, also, says McGeer. Viruses do evolve and mutate and can become more or less deadly and more or less infectious. “Apparently knowing how to control it last year doesn’t help you with controlling it this year,” she said. There’s been a small explosion in cases in recent weeks in Saudi Arabia, many of them in hospitals where McGeer suspects that hospital staff are not strictly enforcing procedures for controlling the virus — although she doesn’t know directly. She’s been to Saudi Arabia to study the virus, but not recently. Another hopeful thing about MERS is that while it can infect perfectly healthy young people, those who have died have been elderly or had underlying conditions such as diabetes, asthma or kidney disease. Genetic tests suggest it has passed from animals to people several times. The No. 1 suspect now is camels. There’s no cure and no vaccine.